Receive event data from us automatically, & in real-time. Use webhooks alongside Novocall to extend, customize, & integrate our application with your own custom extensions, or even with other web applications. 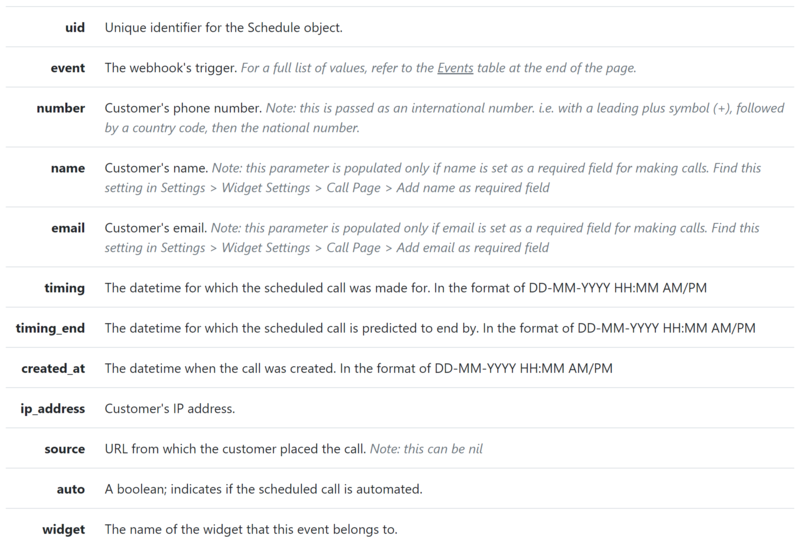 Webhooks allow you to receive valuable data regarding your calls, messages, & scheduled calls when they happen. 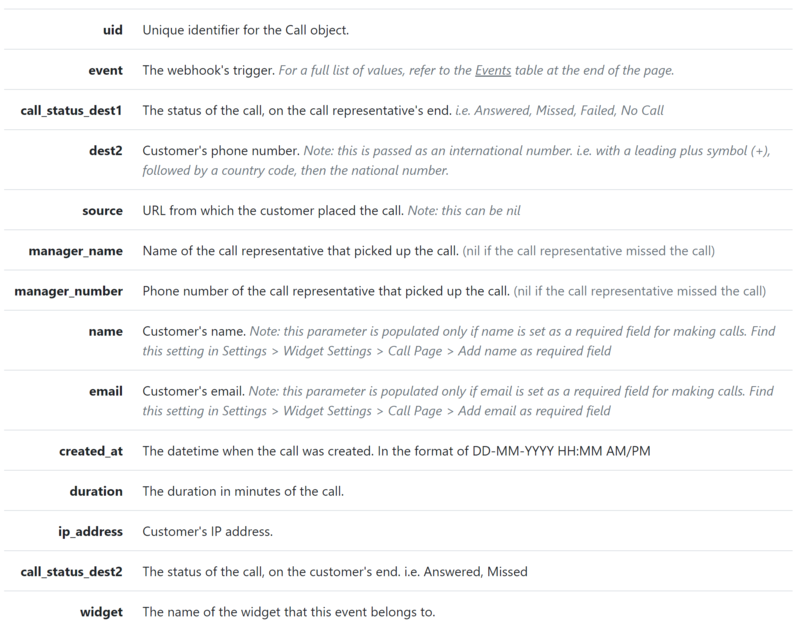 & the good news is- it's never been easier to register a webhook with Novocall. Keep reading to register your own webhook in a matter of minutes! Click on the Webhook card to bring up the webhook registration page. Fill up the two fields accordingly. Event: The event that will instruct our system to send you a HTTP request. Target URL: This is the URL we will be sending the data to, so be sure to give us the correct one! Once everything looks good, go ahead & click on the Create Web hook button. 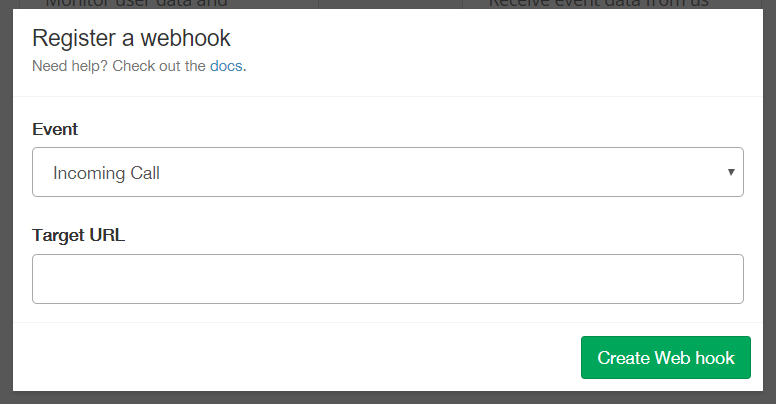 When the web hook has been created, we'll flash a Webhook registered successfully! message. That's when you know you're all set. If you'd like to see all your registered webhooks, head on over to Integrations > Overview > Registered Webhooks. You can edit & remove existing webhooks right there! To view our request parameters along with what they stand for, read on! Here, we've separated our request parameters by their triggers, in hopes of providing you with the most seamless & intuitive experience possible. 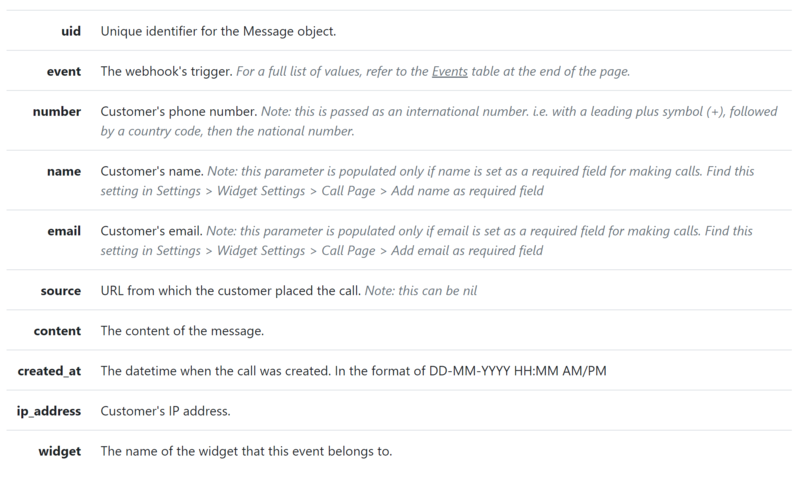 That is, if you'd like to have a look at the parameters that comes with the New Message trigger, check out the following New Message section. Note: all our parameters are passed as strings. Hence, you'll have to do your own type conversions if you'd like to manipulate the values.